If you're looking for a group of girls who slay, look no further than Little Mix. With their undeniable vocal talent, fashion style and adorable nature, they are arguably the most influential girl group in the world right now. 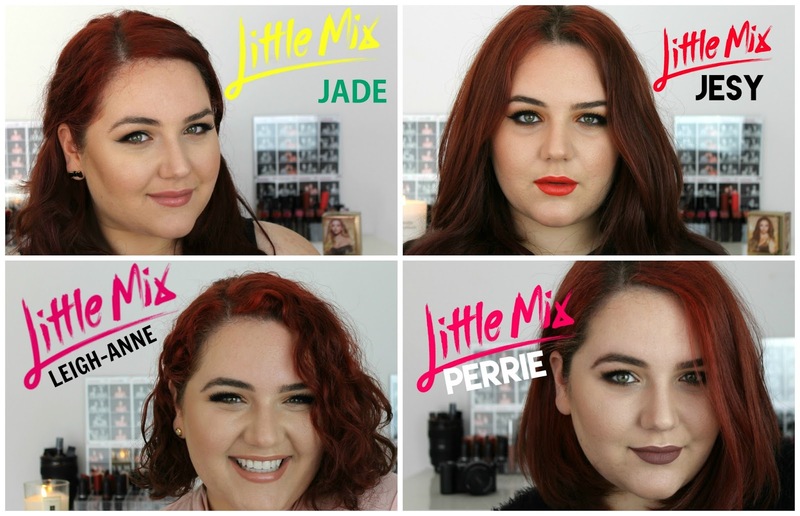 First discovering them when they were wee little things on X Factor, my love for these four girls has quadrupled over the last few years, so I thought I might turn that love for them into something creative which has inspired me to film this Perrie Edwards makeup tutorial today. I've also admitted to some subtle stalking in my quest to figure out the exact products and shades that Perrie has used in previous makeup looks so make sure you get a chance to check it out as I've also mentioned a few dupes for these products too! This look is the final instalment of a four-part series I have been running on my blog and over on my YouTube channel, AnjeliqueTV for the last four months. This now marks the end of this series with my final makeup tutorial based on the gorgeous Miss Perrie Edwards. If you're yet to check out my previous looks, I have already done Leigh-Anne Pinnock's, Jesy Nelson's and Jade Thirlwall's! Which girl's makeup look have you liked the most, and what would you consider your favourite to adapt to a wearable, everyday look? Everybody has a Little Mix favourite, is yours Jesy, Jade, Leigh-Anne or Perrie? Aww thank you so much Emma, you are too kind! Well don't hate on me but I have no idea who Little Mix are! But judging from these looks I'd say a mix of Jesy and Perrie. Thank you so much Nati, that is very sweet of you! You're so sweet Ela! You really need to get onto them, they are girl power in a bottle! Wow, you're so talented! Your makeup looks amazing! This is such a gorgeous look, it reminds me of looks seen in the 90s! Your makeup is spot on! Oh colourpop lipsticks, would love to try thee!